My one goal outside of work this summer was to go to the Dead Sea. All May, when friends and family asked me what I was looking forward to the most I said, in no particular order, the Tel Aviv Beach, my internship, and the Dead Sea. I didn’t know anything about the Dead Sea, how to get there, or even what Masada was, as I’d never been to Israel. Yet for some reason, I knew that I wanted to take a student-run trip there. I had a feeling that such a trip would be the highlight of the summer. It was that and more. Well 46 people woke up and got on that bus and headed for the Desert. We got to Masada at 5 AM but only began the hike at 5:30 due to a massive line at the ticket booth. The snake path is supposed to be an hour long hike but every last one of us did it well under an hour, just in time to see the sun rise. It was so worth every ounce of sweat– and trust me, even at 5am, there was sweat. After the tiring hike we headed for the desert oasis of En Gedi, a place no one knew anything about. 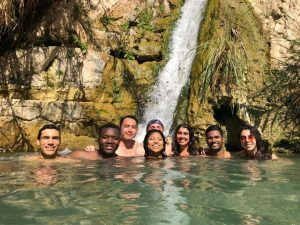 It turned out to be the highlight of the trip for many, with the freshwater springs, lagoons, and dramatic waterfalls providing a much needed reprieve from the sweltering heat. 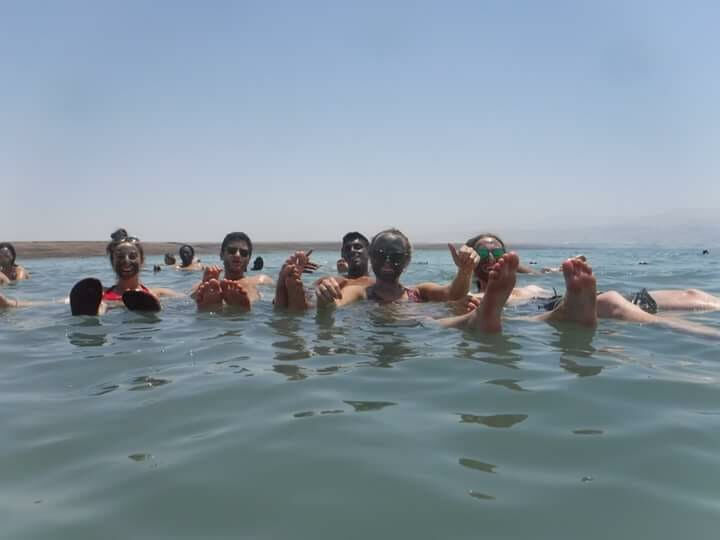 To cap it off, everyone got the chance to float in the Dead Sea, a bucket-list item for many. 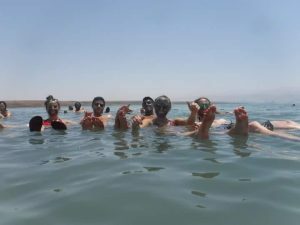 For me, the Dead Sea is a great analogy for my experience in TAMID. While some days, we feel as if we are effortlessly floating through the water, sometimes we get cuts- face obstacles- and it burns. The same salt that allows us to float so effortlessly through the water is rubbed in our wounds. 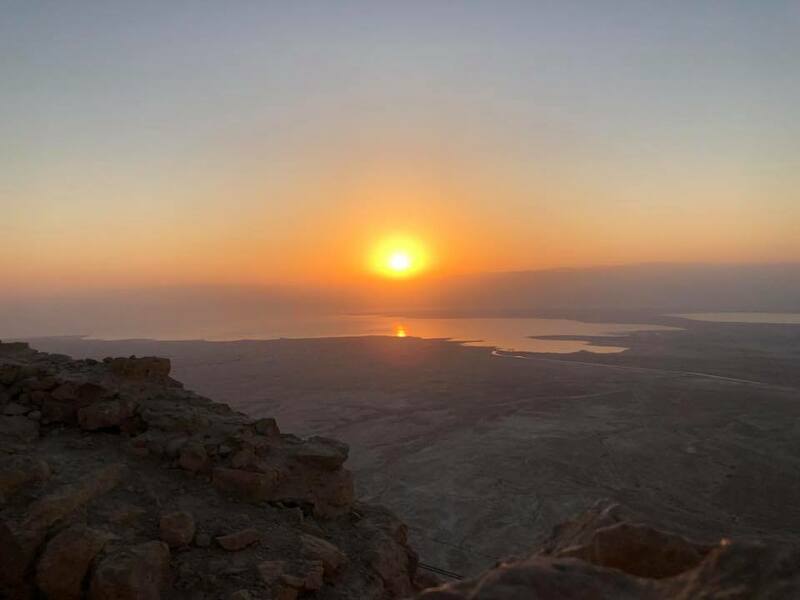 Sometimes we face challenges with our internship, and among our peers, but these experiences teach us lessons, rub salt in our wounds, and allow us to come out of the Dead Sea smoother than before. The hours of planning that went into this, something I could not have done if McKinley Hall had not initiated and also planned this trip, was all made worth it to see everyone have a great time. 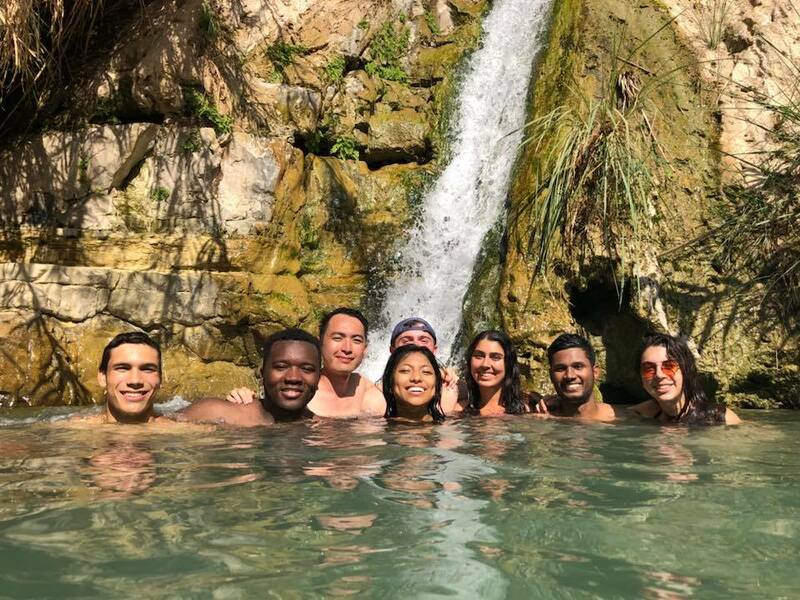 The trip gave TAMID members a chance to bond across cohorts, and sessions, and to get out of their comfort zone to explore Israel together. Thank you to TAMID for approving this trip and for making it all possible. I look forward to the other student run trips coming down the pipeline.